Software patents are a disaster for innovation. The system is asymmetrical, in the sense that it is very expensive to defend against a patent suit. At the same time, it is very easy to get a patent on almost anything, including things people have no business getting patents on. I have a friend who was given a patent on a number, for example. Fred Wilson called my attention to a video that is a great documentary on what’s wrong from the side of granting bad patents. My friend’s number patent came about because he followed the letter of the law as described by the video and described some particularly complex mathematics that defined the number. The asymmetrical nature of the expenses is such that there is a huge disparity in cost to defend versus cost to prosecute. The last time I was involved in a patent suit with patent trolls (companies whose sole purpose is to use overly broad patents to extort payments from anyone they can, trolls don’t make anything except law suits), our counsel advised us that it would cost us $1M just to get to trial, so any settlement short of that was reasonable. When I asked what it would cost the plaintiff to get to trial, the advisor suggested a couple of hundred thousand dollars and probably lays, since our patent troll was actually a public company with lots of cheap attorneys on staff and a cookie cutter system of prosecution. This particular patent advised that any system that connected some sort of rule or program to a database infringed their patent. By that definition, their patent covered SQL itself. When I inquired why we couldn’t overturn the patent as overly broad, I was told this was the worst possible defense because it was the most expensive. It would have cost us an estimated $4 million, and we had to consider the likelihood we might still lose the case. The cost to get one of these overly broad patents granted? $10-15K at most. The supposed argument behind patents is that they foster innovation. There are visions of big companies crushing the little guy and stealing her Intellectual Property. Isn’t that what the system is supposed to accomplish? This protection does not extend to any innovation. Something trivial or obvious is not supposed to be protected. There should have been some cost or sacrifice needed to create something very non-obvious before protection is extended. Let’s tease this problem apart. Someone writes a great script, “Gone with the wind.” If it were patented, no one could ever create another script that remotely resembles that one. It would be nearly impossible to write about the humanity behind the Civil War. We don’t want that. Those qualities were not the expensive part of creating the script and they are not unique or particularly non-obvious, although the elements may have been combined in relatively novel ways. Still, the outline of the essentials could be made available in a brief Cliff’s Notes. On the other hand, it wouldn’t be right to just take the script, grab some new actors and a camera, and make a new movie that was identical from the standpoint of the script. The essential ideas can be easily conveyed in the Cliff’s Notes, but you can’t really produce the script from the Cliff’s Notes. In fact, you’ll get a script that is different enough that it doesn’t infringe. Therefore, the value is mostly in the literal copy, so it is the literal copy that should be protected, because that is where there was a considerable investment made there in writing the script. Someone trying to get from Cliff’s Notes to script will spend just as much effort. Note the asymmetry of effort and attaching the value to where the effort is. We call the form of protection against literal copying a “Copyright,” and it is fair and reasonable to have copyrights to protect the creator of the script. There are lots of media that behave like this and are most appropriately protected via copyright. Now consider mechanical devices and machines. It can be devilishly hard to conceive of the mechanism, to test it, and to ultimately have to build a number of prototypes to discover empirically what really works. Recall Thomas Edison reminding us about all of the perspiration versus inspiration. Minor variations on the original design can work just as well, or close enough that the value of the invention is greatly diminished by the “almost copy”. Just as important, once you know the original invention, it is much easier to make a minor change and call it a new invention and have it succeed. So such things need something broader in terms of protection. You really can capture enough in the Cliff’s Notes to deliver most of the value of the invention so it can be knocked off and the original innovator loses their Intellectual Property which the knock-off artist has benefited from. Hence this kind of IP needs protection of the Cliff’s Notes that extends more broadly to anything similar to Cliff’s Notes. That’s what a patent is. It’s really the right hand quadrants, those that cost to manufacture, that need the protection of a patent. If I invent a new kind of fastener, for example, the philips head screw, it’s very easy for someone to take an example screw, make a slight change in the shape of the screw driver, and steal that IP. Maybe theirs crosses like an “X” instead of a “+”. That’s not fair, so we give broader protection. On the left, we can run off copies very cheaply. Anything that boils down to media goes here. The protection has to be focused on the actual literal bits, because if we let them be copied, we give away the IP. Consider I case where I actually had the source code of your program. I can’t just copy it, so I determine I want to rewrite it in another language. BTW, I can’t really get away with this any more than I can evade music copyright by having a different band play the same song. But, that effort to rewrite in another language, get it right, have the software run just as fast, avoid introducing any new bugs, and so on, is expensive. It is not an easy thing at all. Hence we don’t need to work as hard at protecting it. Protection goes where it is easy to take unfair advantage. And of course we want to avoid granting monopolies (because that is what these legal devices do) to IP that is both easy to conceive and easy to reproduce. If it’s so easy, it is obvious, and deserves no protection. The other odd quadrant is the top right, which has elements of both. An integrated circuit perhaps needs both copyright and patent. I’m not familiar with that industry, but I would expect the layout on the masks is copyrighted and the various innovations needed to get the chip to work are patented. When we give broad protection like patents to software (or potentially music and books), we wall off via monopoly very large amounts of IP territory. This includes territory that the innovator never needed or perhaps intended to protect. Territory that doesn’t matter in the least to extracting the value of the invention as it was originally conceived. Such accidental monopolies are not good for innovation and are just legal lottery tickets equivalent to ambulance chasing. This kind of protection should be eliminated as there is little evidence software patents are stimulating any kind of innovation whatsoever and lots of evidence it hinders innovation. Clearest explanation of when/where/why patent protection is applicable that I have ever run across. There is also this idea that someone must have copied an idea to come up with something similar. In software, it’s often impossible to see the original, but “copies” happen all the time. This is because the problem space defines the “innovation”, not the development process. Some argue that all mathematics is discovered, not invented; and that all software is really just mathematics. The patent office should retract patents as “obvious” when the same ideas keep re-appearing without any indication of copying. Or maybe the patent office should have to pay the legal fees when a patent is challenged and found to be obvious or overly broad. Another issue with the “protecting the little guy from the big, bad corporation” myth of patents is the sheer effort & expense to file a patent. $10-15K (the cost of a decent patent lawyer) might not be a lot to a big corporation, but it could easily be prohibitive to a small inventor, and there’re scads of people (including the USPTO) warning about the dangers of self-patenting. (After all, do you trust yourself to write a document that’ll stand up in court?) And, of course, the little guy would have to sue the big, bad corporation and its legions of lawyers if it actually infringed. In disagreement with what may have been implied in part of the article, I would say that patent law is damaging in many circumstances (even besides software) and that copyright also goes overboard as well (eg, too long duration and “derivative works” interpretation borders on the degree of broadness found in a patent). I also would disagree with any possible implication that patenting should be more expensive (some readers might draw this inference after reading the article). This would just price out more inventors while allowing the multinationals and the very wealthy to still patent trivialities and own an even larger share of the IP pie. In fact, if we make patents much more accessible (and ideally implicit as is the case with copyright), then more people would have protection against attacks since fewer attackers would be able to pull off an attack successfully and without becoming vulnerable at the same time. So, while not endorsing everything the article above may have implied, I really agree with the main idea told through the 4 quadrants. BTW, it would be useful if this posting was under a CC license so that its detailed arguments can be harvested more easily into places like the wiki at http://endsoftpatents.org/ . The third link just mentioned addresses the obvious: stop creating monopolies if our goal is to promote the progress of science and useful arts. It suggests we pay inventors through income taxes on everyone. The deal would be that everyone could use any invention for $0. There are other variations possible that are not described in that article, but the overall approach seems much saner than our current monopoly-based system. We should not tax software (eg, with patent monopolies) but should tax the greater output that would result from a more efficient and wealthy society able to access a larger amount of software. This has to be one of the more confused attempts at explaining patents. I think that I agree in spirit, but the text moves all over the place so I am not sure. 1. Patents are intended to allow a limited form of monopoly, in exchange for which the inventor has to share the details of the patent. 2. The patents granted shall not be overly broad, variations are allowed. 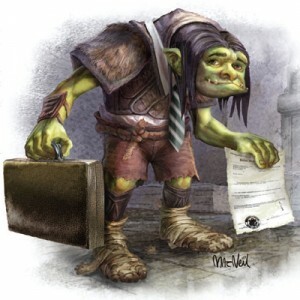 From an inventor’s (or perhaps more so a patent troll’s) perspective a broad patent is good since that makes it more difficult for competitors to create non-infringing alternatives, but that is not generally the intent of the patent office. In regards to the example with screwdrivers I would think that the shape of the head is important to the patent, and you could very well patent that. Also, you could probably not patent a writing tool, but a pencil and a ballpoint pen are both different implementations and thus separately patentable. A different example concern pianos. I do not remember details but at some point in time piano makers used to patent their way of building a piano. Competing piano makers did not want to pay license fees so they had to make subtle variations – the end result was still a piano, but since the implementation was different enough they could still make and sell them. 3. You are not supposed to be able to patent ideas. This is probably where the software patent problem lies since they are sufficiently close to being ideas. The patent system was created for physical items and the practice of allowing patents on less tangible things makes the whole rule set difficult to apply for the patent engineers at the PTO. 4. Disclaimer: I am not a US person so I might have the wrong ideas about some of the things you discuss. Corrections appeciated. Care to give us the reference to this “patented number” patent? I suspect you are mistaken in your understanding of what has been granted, but I’m ready to be proved wrong. Software (literature, etc) should have copyright but should NOT have patents. Machines should have patents because copyrights aren’t enough. A software product involves creating and interfacing many components precisely. The digital (perfect) nature of software means that very complex systems can be created (mother nature/ physics does not impose very many limits). The high degree of allowed complexity mixed with human ambition and competition means a lot of intellectual investments exist throughout much of the almost always overly complex final product. This intellectual input scattered throughout the whole contribute to the value of the final product, ie, if we change enough details, we lose significant value, in part because the code that replaces it likely also had similar costs (eg, with debugging). We also have that it is very easy to copy (mimic) software to make more copies. The argument then is that something like copyright serves a purpose here because the original product has significant value throughout and which is very easy to mimic by competitors. One reason to avoid patents for software is because patents are very broad by definition, and hence a single patent claim will necessary cover over many many distinct software products, each of which already would have involved a tremendous amount of hard work to conceive. We note that it is rather easy to write up a few lines of English to convey the claim the states in low detail the few properties that define infringement scope. Do we want a person writing up an overview of some properties to have command over a great many complex works? In contrast to this we have things like a physical invention. Here copyright fails for the following reason. The invention likely (a) has significant value and (b) represents a small percent of the final product. Copyright is subpar because the entire product will presumably have a few small components that hold most of the costly value (as described above). A competitor can change the nonessential parts significantly while retaining the key points and thus thwart copyright. Patents avoid the problems of copyright in that a patent can protect the small essential portion specifically. Also, the product itself involves a lower degree of intellectual input (in contrast to software and literature which are pure products of the mind); hence, the broadness of patents does not lead to nearly as much other significant intellectual value by competitors being denied (or taxed) by the patent holder as would have been the case for software/literature. The article also points to a very important point: that we really do want to avoid granting monopolies. I wish the article would have then stated that current copyright and patents go way too far in how much monopoly power they grant. Patent law/practice is such that it is much more costly to prove innocence than it is to attack someone; hence, the attacker has an incentive to use a shotgun approach and fire off in the general direction of anything that moves. This will tend to “kill” many that could be innocent. Part of the reason for the cost disparity is that the costs to come up with the patent is low relative to the court costs required to annul the patent or prove innocence; the existence of the patent, as determined by the USPTO based on a very low hurdle implied by law (eg, which has no requirement at all of proving the patent would “promote the progress of science and useful arts”), shifts the costly burden of proof to the innocent. Further, the legal attack process can be optimized. Scales of efficiency apply since the attacker becomes intimately familiar with the attack process, the details of the patent, and the existing prior art. The person being attacked has much less experience with these details. >> Instead, I would argue that patents are plainly intended to increase incentive to publish. We have to wonder how a low detail patent can get monopolies while the vast quantities of practical, detailed, de-bugged and immediately useful open source gets nil. Something is definitely wrong. It would instead make sense to give open source innovation a full 20 years (rather than wimpy “prior art” status) or else lower the patent monopolies for all software down to zero as well. >> and therefore not publically available to be used or improved upon. Unfortunately, when you grant a 20 year patent, the public has absolutely minimal incentive to attempt to improve upon the idea or use it (it can become illegal to do very much with the idea). For many years, the risks grow every single year you have added more investments to something that was patented since you can have a large part of your work nullified. And, worse, you likely didn’t know there was a patent or, if you had been told or got lucky researching, you probably found it difficult to avoid infringement because patents are so broad. Patents serve to rob people of their hard work. See this comment, for example: https://www.enterpriseirregulars.com/17600/the-problem-with-software-patents/#comment-7940 . Again, recognize and give monopolies to everyone (rather than simply to the wealthy) or else give it to no one. Sorry, the comment just posted (ie, “Goose/Gander”) was posted to the wrong website. I assume the Schlafly patent you refer to is this one. 1. In a cryptosystem, a method for inverting a cryptovariable comprising inputting said cryptovariable and representing it as an integer; constructing an approximate inverse to said integer; computing a residual of said inverse by taking a twos complement of a product of said integer with said inverse; testing a spill word included in said residual; improving the accuracy of said inverse until said spill word is zero; partial multiplying said inverse by said residual and adding a shift of said inverse; repeating until desired length and accuracy is obtained; and outputting said inverse. Even if the result of such a method might be a number the claim doesn’t relate to the number per se. The number is not an infringement of this claim.